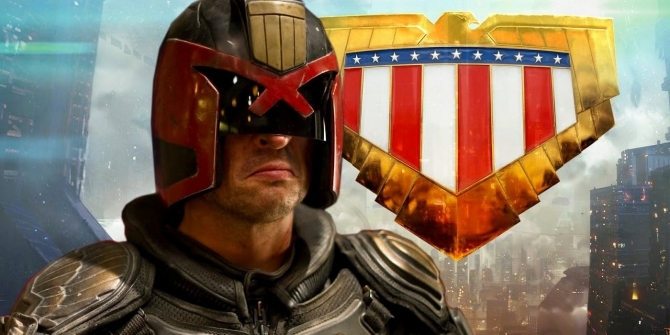 Karl Urban will forever be associated with the brutal, unforgiving world of Judge Dredd. And that’s no bad thing, given those mooted reports of a possible cameo appearance in Rebellion’s upcoming TV revival, Mega-City One. But what are the chances that Urban will decide to venture into uncharted territory? Like, say, Gotham City? That very question came up in conversation when JoBlo spoke to the actor in anticipation of Bent, a white-knuckle thriller in which he shares the screen with Sofia Vergara and Andy Garcia. Turns out Karl Urban has never actually considered the possibility of playing the Batman – either for Matt Reeves’ gestating standalone pic or another project entirely – as he wasn’t aware of those casting rumors. Well, we say rumors, when really we mean wishful thinking from a small pocket of the DC fanbase. Oh, really? Wow. I don’t know. I haven’t really contemplated that. Usually the way the process works for me is I get sent projects, sent scripts and I read them, meet with the filmmakers and really on that basis choose to get involved. As far as Batman goes, I guess my favorite Batman movie was The Dark Knight. Chris Nolan is just an extraordinary director and I thought Christian Bale was a fantastic Batman and obviously with such talent like Heath Ledger that was the perfect comic book movie right there. So, I don’t know, I’m open to any and all opportunities. One way or another, Karl Urban is certainly open to the possibility of one day donning the cape and cowl to become Gotham’s Caped Crusader – presumably at the expense of Ben Affleck, whose time within the DCEU appears to be nearing an end following Justice League and its poor performance. But there’s a Bat-shaped light at the end of the tunnel, as Matt Reeves is evidently making headway on his standalone Batman movie. It’s said to be taking longer than expected, after we learned earlier this week that other Gotham-centric projects (read: Nightwing, Batgirl) have essentially been placed on hold until Reeves cracks the script. More on this story as it develops.